There are hundreds of what-to-buy sites out there listing everything from toy organisers to video monitors as essential. Whilst there were a few pretty outfits I did 'invest' in (actually turns out to be the complete opposite of 'invest' when your baby grows out of something within a week), I always thought that, to a degree, baby shops and websites take advantage of irrational mums-to-be. Most of these 'must-haves' you can make do without. That's not to say that you shouldn't enjoy buying a few luxuries. Like I did, most mum's figure it all out along the way. For example, I now only have 5 baby grows, whereas when Lyra was born I had about 20. Also remember that you're not working to a strict deadline, so if you realise you need something after your baby is born, just get someone to pop to the shops to get it for you. So I'm going to list a few things that, whilst not 'essential', I found handy. I know these can be controversial, but they are a god-send. The more reclined, cocooning and cushioned chairs are the best ones for newborn babies up until about 4 months - I think it must remind them of being in the womb. Most of them have music and a vibrate function, which really help to get the baby off to sleep. They're great because they just give you that extra bit of help in establishing a sleep routine, and if you don't have family or your other half around that much, they can be great when you just need a bit of a break from carrying him/her. 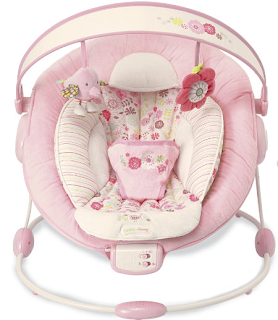 This Bright Starts Cradling Bouncer looks very cosy! The Kari Me is a stretchy cotton sling which can hold your baby from birth to 3 years old. It's much easier to carry around than the more structured baby carriers, and it keeps your baby close which is comforting for them. I also have a back problem, but the Kari Me hasn't cause any problems at all. 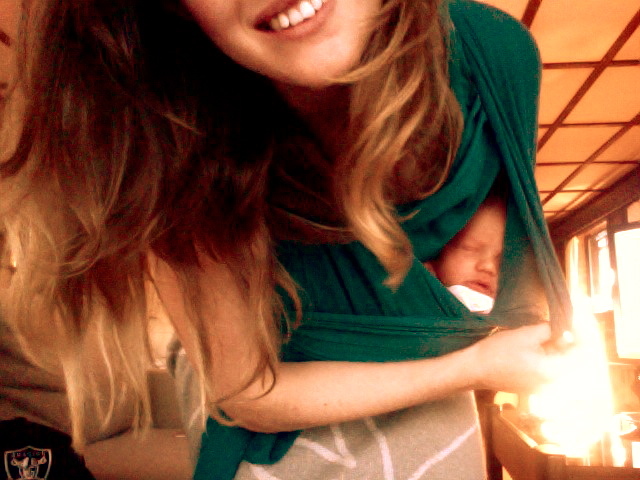 The first time I used it I needed to get some work done and Lyra wouldn't stop crying, but as soon as I wrapped her up in it, she fell asleep. It's just one big piece of material, so you can fold it up in your bag and also use it for breastfeeding if you want to be discreet. This was always one of those things in the baby shops that I walked past and never gave a second thought to. 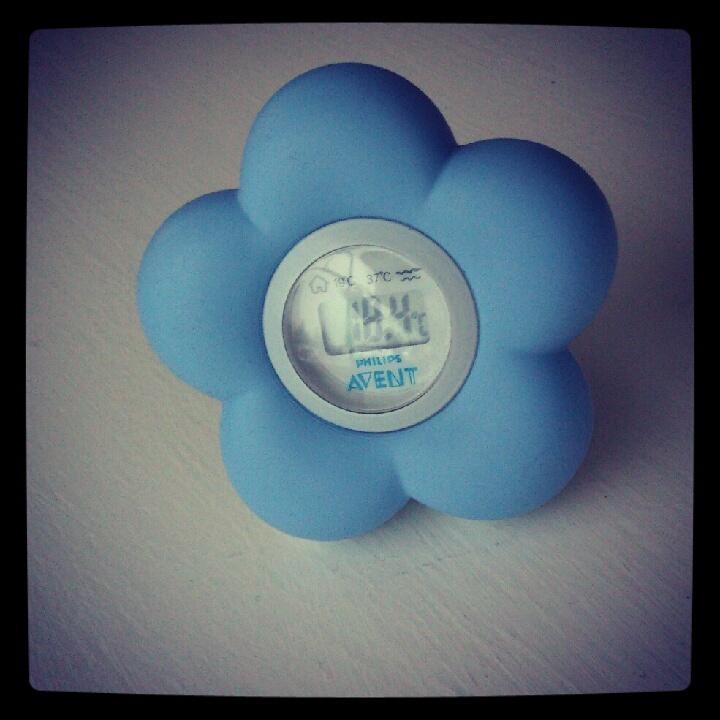 But when I saw this blue flower room thermometer, I thought what-the-hell, it's too pretty not to buy. I've actually found it helpful. I have a tendency to think my baby is at the same temperature as me, so this puts my mind at rest if I'm worried. It's recommended that baby's should sleep in a room that is somewhere between 16 degrees C and 20 degrees C. I normally have the room at 18, and she sleeps through the night. 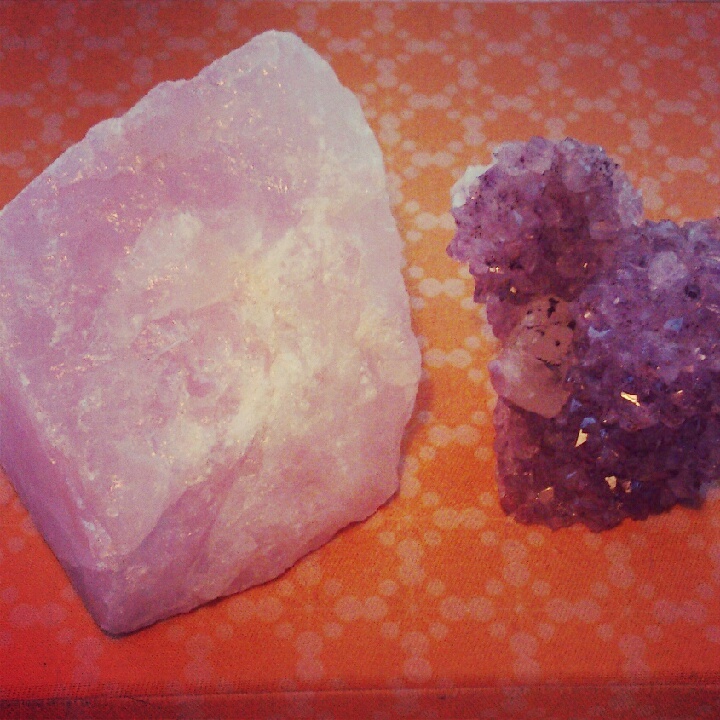 One of the gifts my mother-in-law gave to me after Lyra was born were these gigantic, glittering crystals. She said that I should place the rose quartz near the cot, and that it supposedly helps the baby to sleep. Rose quartz is the love stone and is thought to strengthen the bond between mother and newborn. I have it on the windowsill behind Lyra's bed so that sunlight comes through, and Lyra sleeps all night and is a calm baby! Whether you believe in the affects or not, its always nice to have beautiful gems around the place. 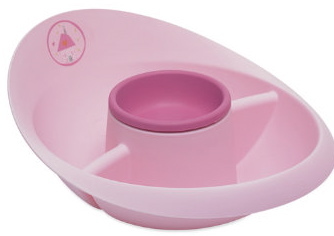 My mum recommended I get one of these 'top and tail bowls', and they're really not too expensive, so it was definitely worth a buy. You use them to wash the baby without giving them a full bath. You use the middle section for cotton wool, and put soapy water in one side, to wash baby's bottom, and clear water in the other side to wash baby's face. It just makes the whole thing a lot simpler! After Lyra was born, I realised that it might be nice to have something hanging above her bed, so that she had something to gaze at in the morning when she woke. Most of the mobiles on the market are either totally bland or totally trailer-trash. 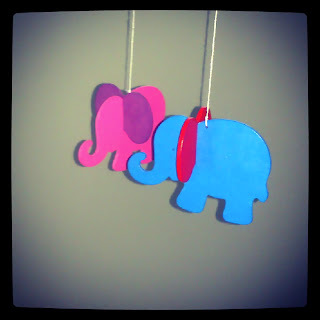 But I found this cute wooden elephant mobile in John Lewis, and she absolutely loves watching them gliding through the air. 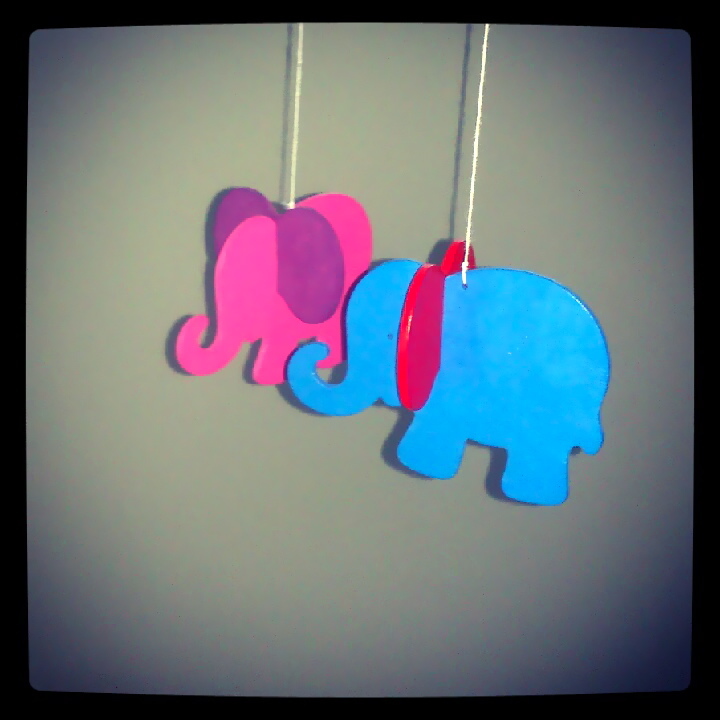 They're bright and fun, and the elephant's bodies contrast with the ears, something that newborn babies would be able to see. These 'Voksi Pose' (grow-bags) are made from totally natural materials like silk, wool and down which all have thermal properties. They keep the baby so cosy and warm whether you use it in the pram, as a play mat or in the cot. Where I live in Norway is extremely cold, so Lyra sleeps in hers, and it seems to help regulate her temperature during the night. We also take it with us when we go to visit the farms, where it can drop to -20! It's a very handy thing! I've learnt from being in Norway that weather should never stop you from being outside, and the Voksi Scandinavian design is testament to that. They also have really pretty colours and patterns. 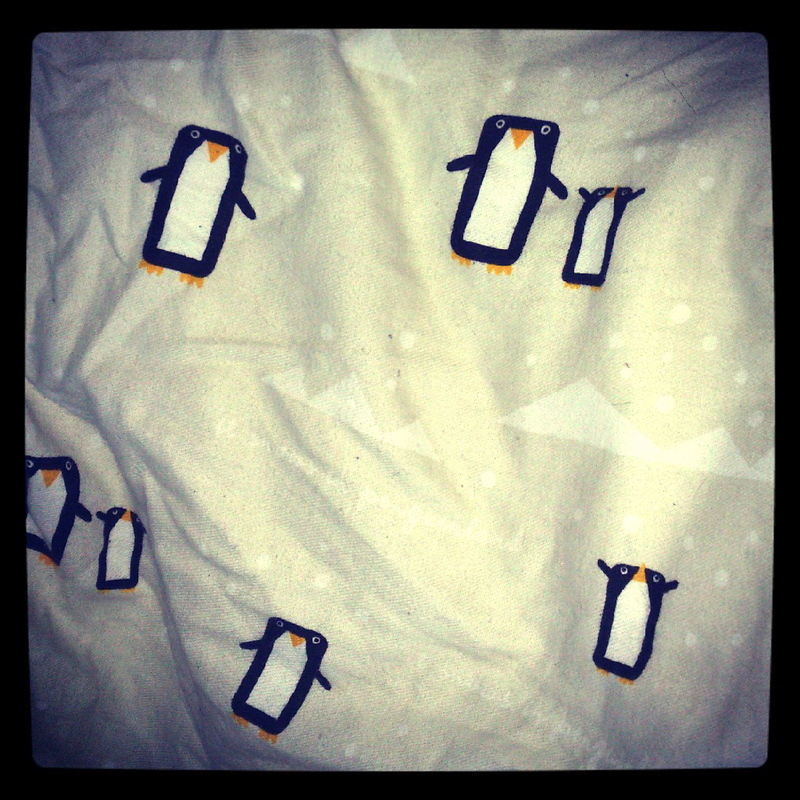 I have the penguins.